A recent report from the World Meteorological Organization shows greenhouse gases hitting record levels, exceeding scientists’ worst-case scenarios. Most of us make the connection between greenhouse gases and the extreme weather the planet has been having, from record droughts to record floods, hurricanes and more. (84% of Americans now believe that climate change is real and human activity is causing it.) But probably far fewer of us make the connection between climate change and some of the other big problems we face. Christian Parenti says our endless wars, the spread of failed states, and the explosive growth of the drug trade have some of their roots in climate change. In his latest book, Tropic of Chaos, Parenti says a catastrophic convergence between climate change, the flood of cheap guns left over from the Cold War, and free market fundamentalism are driving perpetual global conflict. Much of this is happening in the global south. But it’s also leading to a mentality of the armed lifeboat, Parenti says, that’s eroding our freedoms here at home. Christian Parenti writes for The Nation, and has written for Fortune, The New York Times, the Washington Post, and Mother Jones, among other publications. 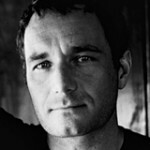 In addition to Tropic of Chaos, Christian Parenti is the author of Lockdown America, The Soft Cage, and The Freedom. He won the 2009 Lange-Tailor Prize and “Best Magazine Writing 2008” from the Society for Professional Journalists. Well, it’s Thanksgiving time again — a time when native American storyteller Marge Bruchac gets a lot of requests to talk about the first Thanksgiving, when the English settlers got together with the Wampanoag natives of Massachusettsfor a feast. The year was 1621. Bruchac co-authored the book, 1621: A New Look At Thanksgiving. WV talked with her in 2005. 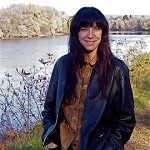 Marge Bruchac is an Anthropologist, Historian, and Museum Consultant. She’s also a Performer of Algonkian Indian Music and Oral Traditions. Among other books, she’s the author of the children’s book, MALIAN’S SONG.